How I became a Runner. Due to some documents that have recently been revealed, it seems that my claim of only being a runner for the last 3 years to be false. 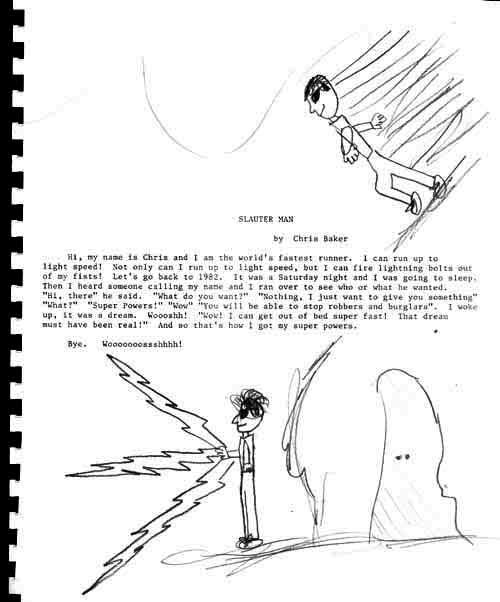 The following transcript was published in 1988, when I was only 11 and paints a dramatic account of my running abilities. Hi, my name is Chris and I am the world’s fastest runner. I can run up to light speed! Not only can I run up to light speed, but I can fire lightening bolts out of my fists! Let’s go back to 1982. It was a Saturday night and I was going to sleep. Then, I heard someone calling my name and I ran over to see who or what he wanted. “Hi, there” he said. “What do you want?” “Nothing, I just want to give you something” “What?” “Super Powers!” “Wow” “You will be able to stop robbers and burglars.” I woke up, it was a dream. Woooshh! “Wow! I can get out of bed super fast! That dream must have been real!” And so that’s how I got my super powers. 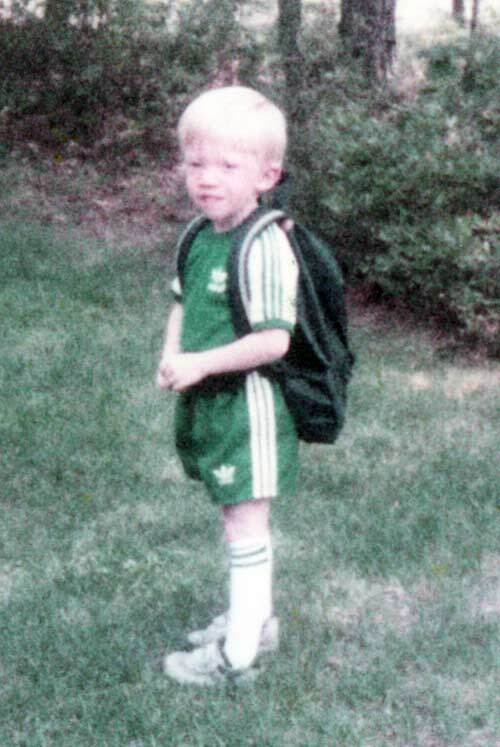 I was probably looking like this when I wrote that and no, Adidas wasn’t sponsoring me yet. Beyond Defeat represents the will and drive to never give up, no matter what challenges you face. It is the acceptance of the challenge. All of us are Beyond Defeat, we just need to rise to the occasion.